TSP Rainbow Bridge Initiatives are a collaboration with New Mexico Navajo Nation to help meet the needs of children, women, families and community leaders. TSP offers self-care programs for domestic violence survivors and offenders, incarcerated women, and counselors of domestic violence throughout New Mexico. Bilingual (English/Diné-Bizaad) program offering holistic self-care for Navajo mothers facing depression and trauma, facilitated by 3 unique women specialists in the fields of education, healing and self-care. Take a Minute™ self-care practice—simple exercises that refresh, reset and relieve—rejuvenating the human spirit for community leaders to share with their community. TSP’s Self-care and Resilience Program addresses effects of trauma through a unique blend of exercise, movement, body/mind awareness and discussion. • TSP serves residential and non-residential adult victims, child victims/witnesses, offenders and counselors at Esperanza Shelter for Battered Families in Santa Fe, NM. 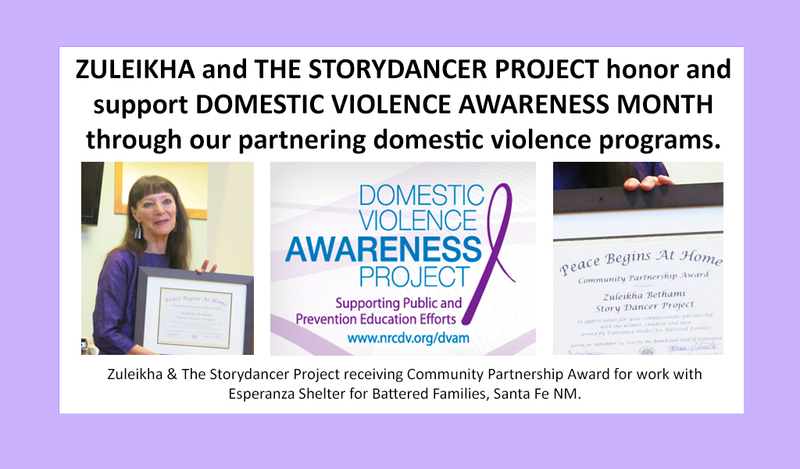 • TSP also works with the New Mexico Coalition Against Domestic Violence to offer innovative self-care tools for domestic violence staff and supervisors statewide. Services in NM Navajo Nation is in the first stages of development.